With increased national attention on issues such as campus safety and security, institutional accountability, and economic challenges, student affairs professionals must make decisions based on the most current legal rulings and analysis. 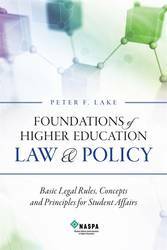 Foundations of Higher Education Law & Policy is a concise, readable, and easy-to-use reference book that offers a fresh perspective on core law and policy information in a format for non-lawyers. 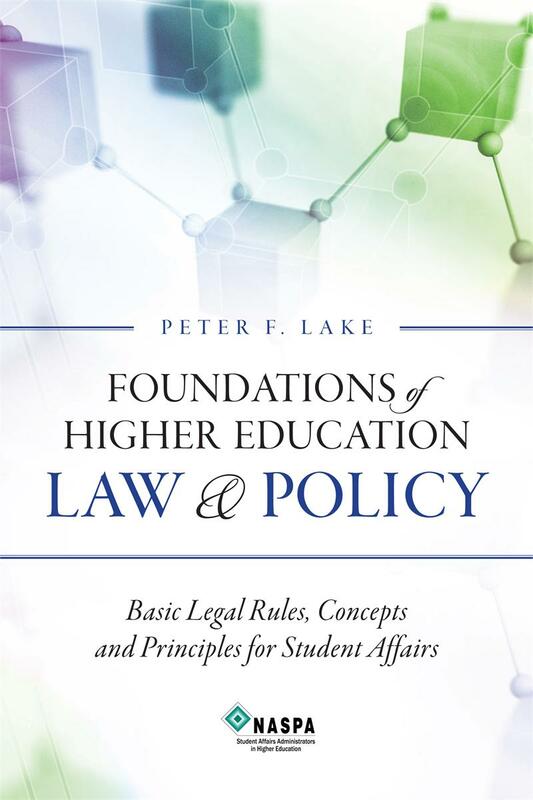 Peter Lake, a nationally recognized speaker and futurist on higher education law and policy, examines current issues and addresses various questions.